His stature in the world of architecture is renowned! 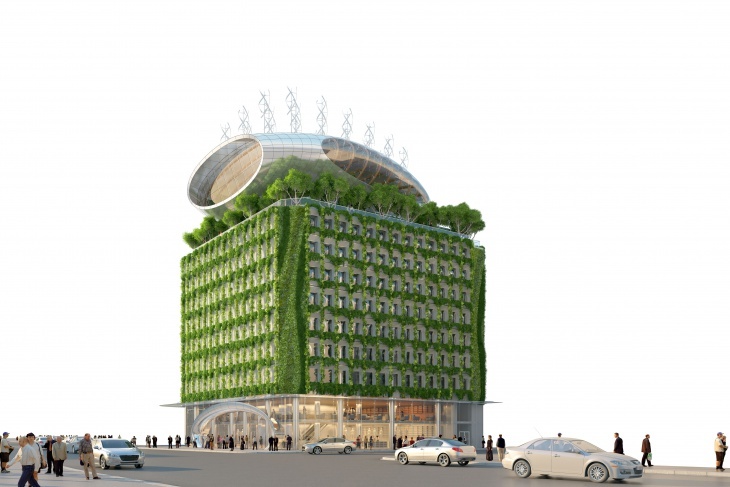 Each time, Vincent Callebaut comes up with new projects, the world wonders in awe at his spectacular design creations. How he does it? What goes in his minds during the thought process? 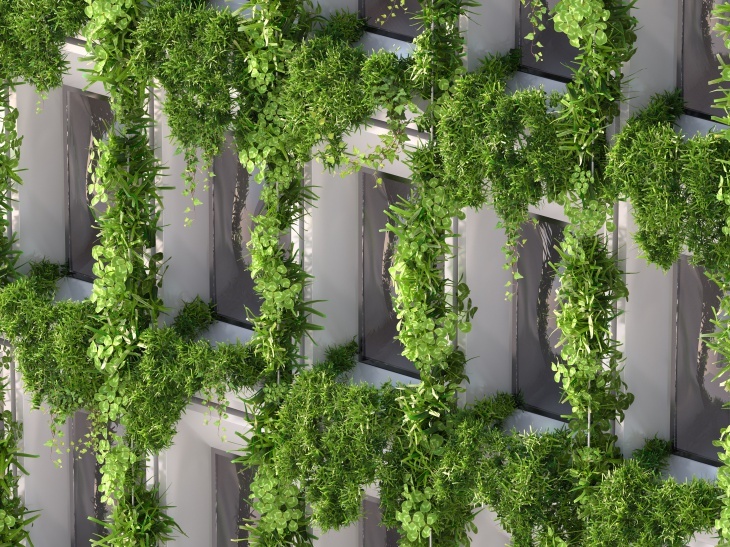 The archibiotect has created a niche for self. 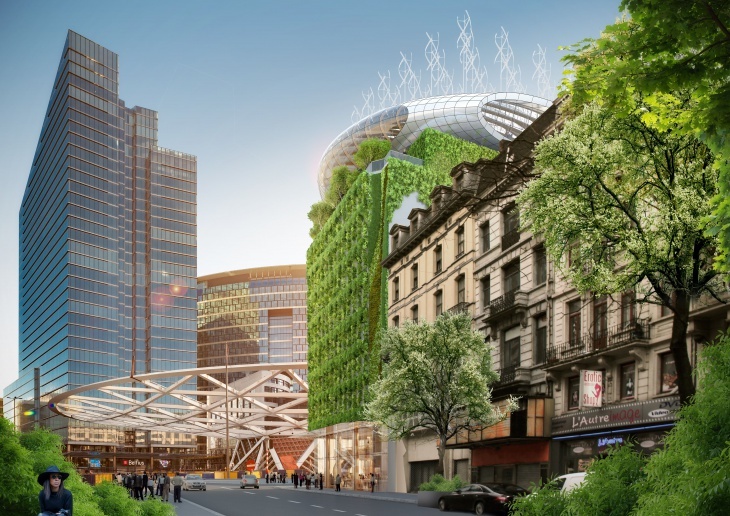 The Botanic Center Bloom Project in Brussels is one of his latest creations. 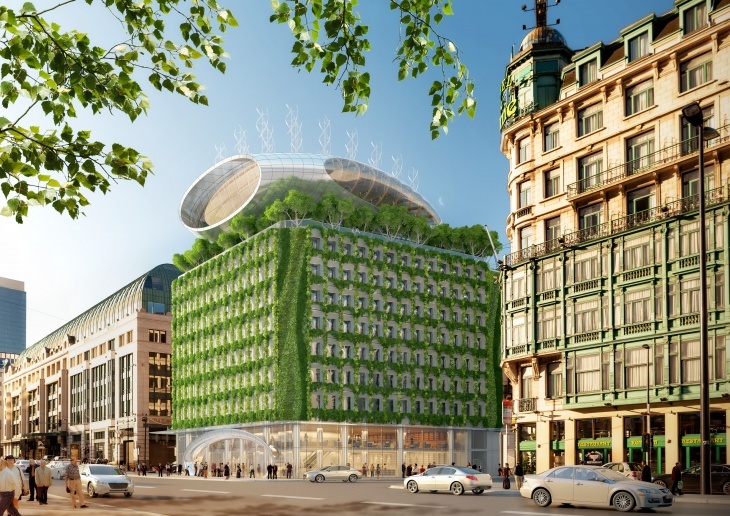 Johnny D talks to Vincent Callebaut to unravel the technicalities of the project. 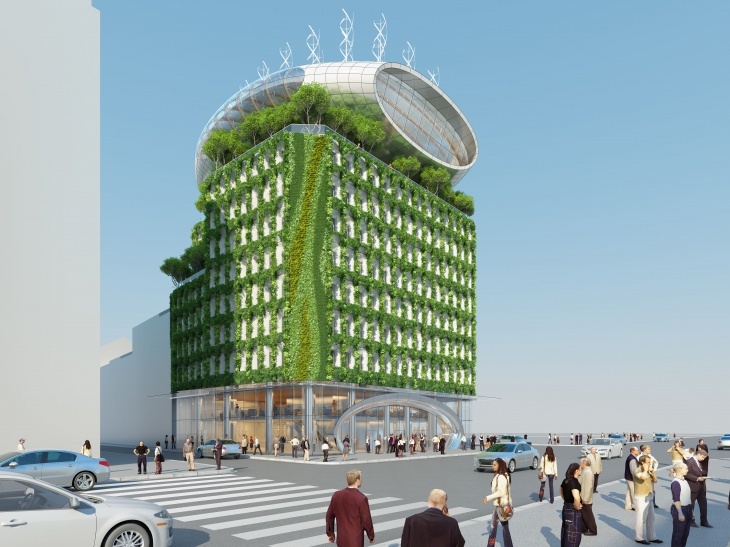 Johnny D: Please explain about ‘The Botanic Center Bloom’, which is touted as an Ecological, ‘Landmark’ Urban Renewal and ‘Nation Branding’ project for Belgium. 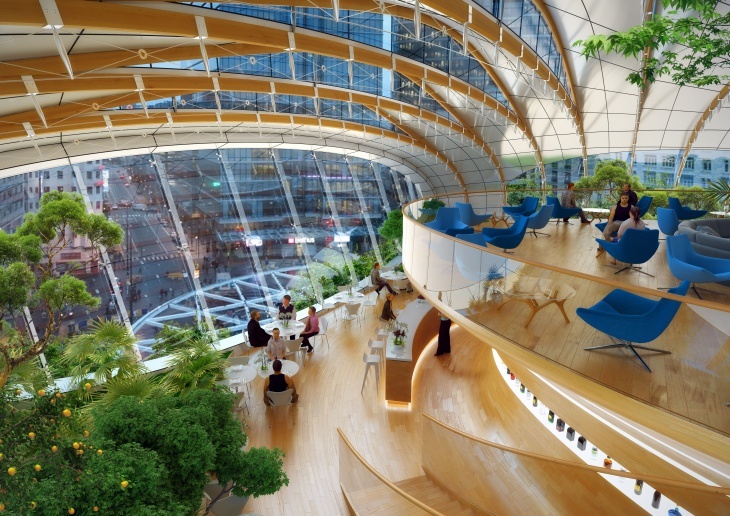 Vincent Callebaut: The architectural, technical, functional and landscaping choices reflect the integration of an environmental approach into our project. 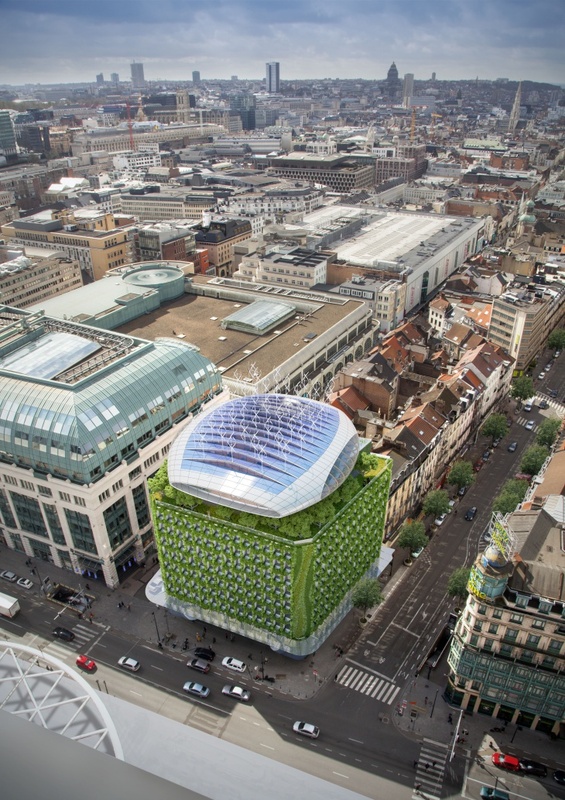 The bold choices enabled us to design an ‘out-of-the-box’ architecture, which will impact Brussels environmentally, definitely projecting the Botanic Center into the 21st Century.Metamorphosis means transforming the caterpillar into a butterfly. JD: Please enlighten esteemed readers of Design Trends more about Metamorphosis, on which the project’s design is based. VC: Metamorphosis means the transformation of the caterpillar into a butterfly. Metamorphosis does not mean eradicating the past, but rather integrating the best of the past into our future. Metamorphosis means privilege in writing a story over another. Metamorphosis means selecting which components of the past will form the foundations of a future, still to be imagined. The role of architects extends beyond mere conservation or restoration. It involves advocating for a hybrid history and making bold choices, not for self but for others. JD: How did you design the concept? VC: Built in 1977, the Botanic Center looks vertically unfinished today. With its 274 identical ornamental concrete modules typical of the modern period, the façade does not reflect the birth name of the building, which is related to the nearby Jardin Botanique. 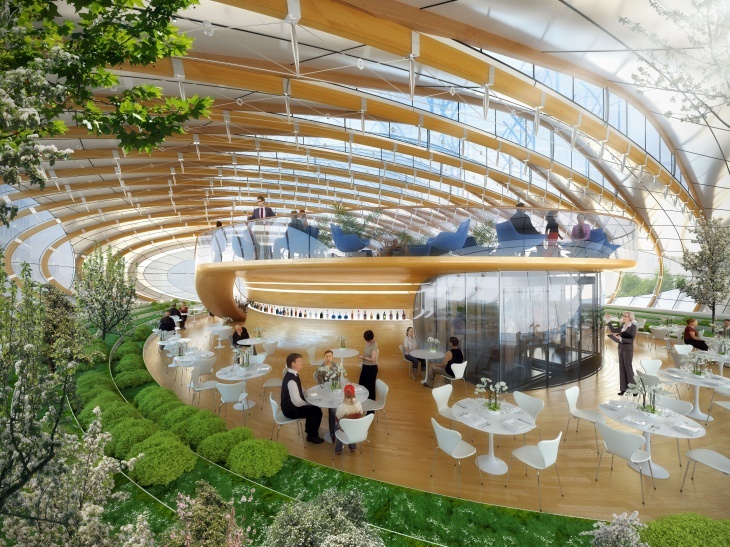 The proposed concept is to ‘bloom’ the existing building, in the botanical, flowering sense of the word. 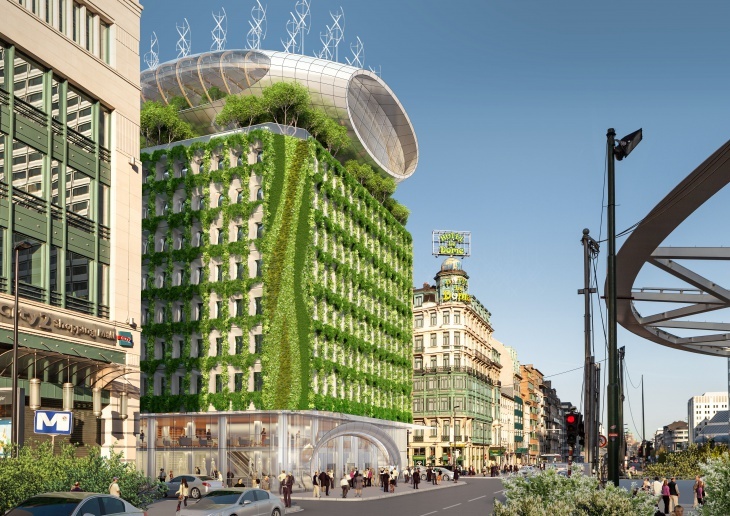 Planter beds and a web of cables act as substrate, dressing the mineral façade with a vegetal envelope that regroups the entire range of the flora endemic to the Brussels area. 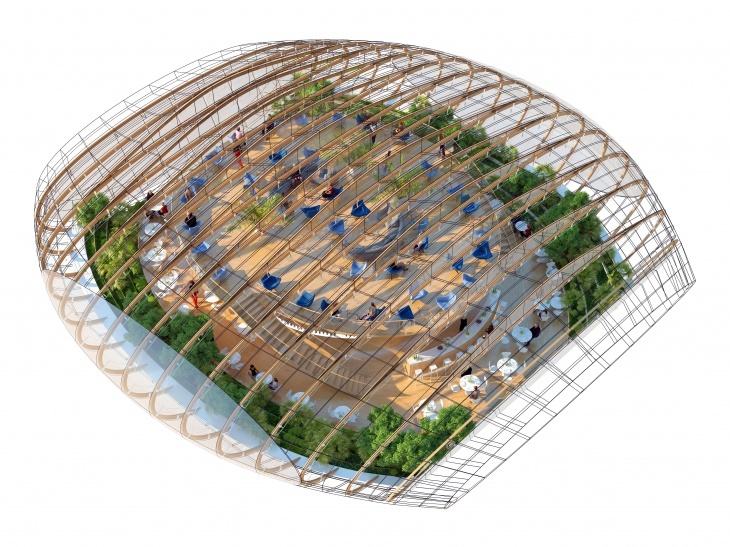 At the top of the building, a ‘Chrysalis’ made of wood and steel deploys its curves to offer panoramic views to tenants and visitors, while echoing the large, Xaveer De Geyter-designed circular canopy, which now covers the Place Rogier. JD: Enlighten our readers about its Urban Integration location. 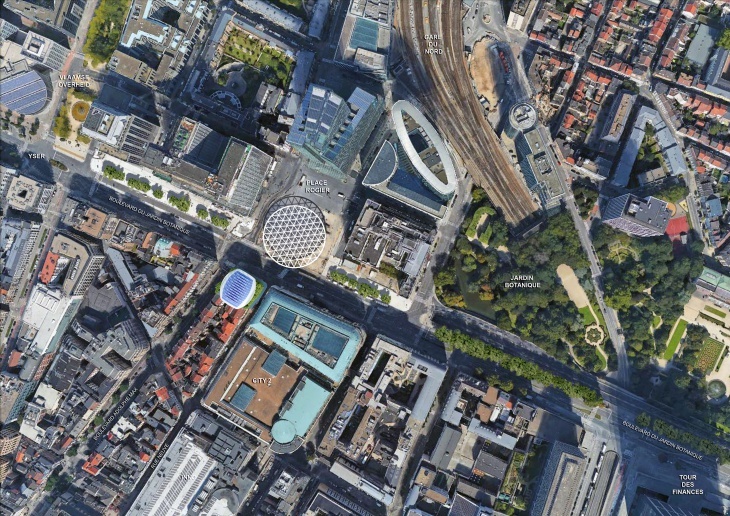 VC: Located strategically at the entrance of the Rue Neuve, and across from the City 2 shopping mall (the largest in Belgium) and the Belfius tower, the Botanic Center benefits from an exceptional urban location, worthy of celebration. 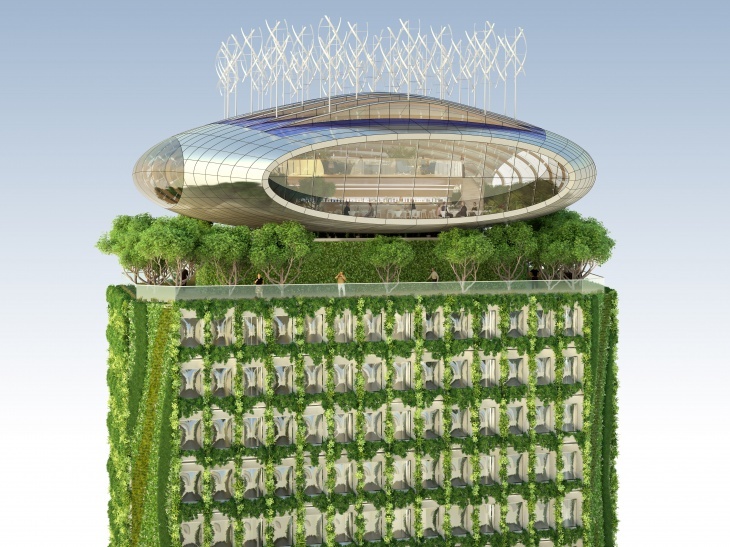 Given the project’s location in the heart of the highly mineral Boulevard Botanique, recommending an ecological landmark and vegetal architecture was an obvious choice – using photosynthesis to absorb the carbon particles contained in the urban smog, while integrating advanced renewable energies to address the project’s own needs. 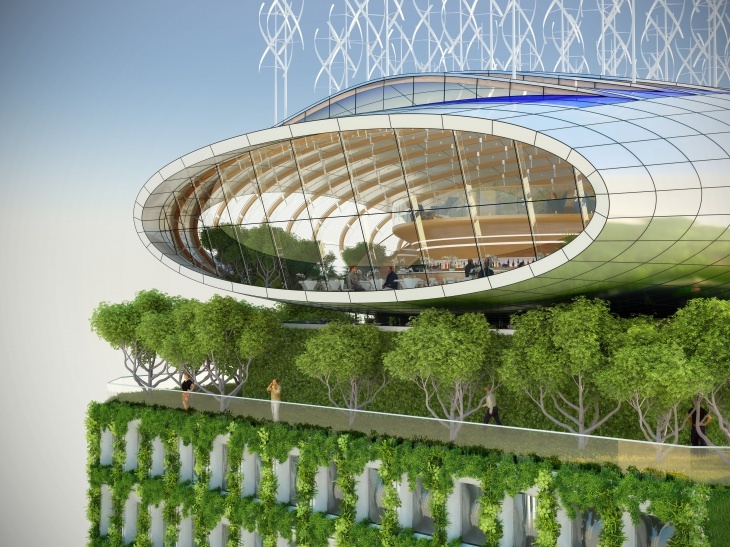 The Chrysalis is carefully placed on the roof, aligning with the scale of the City 2 shopping mall. Its proactive architecture embraces its era. 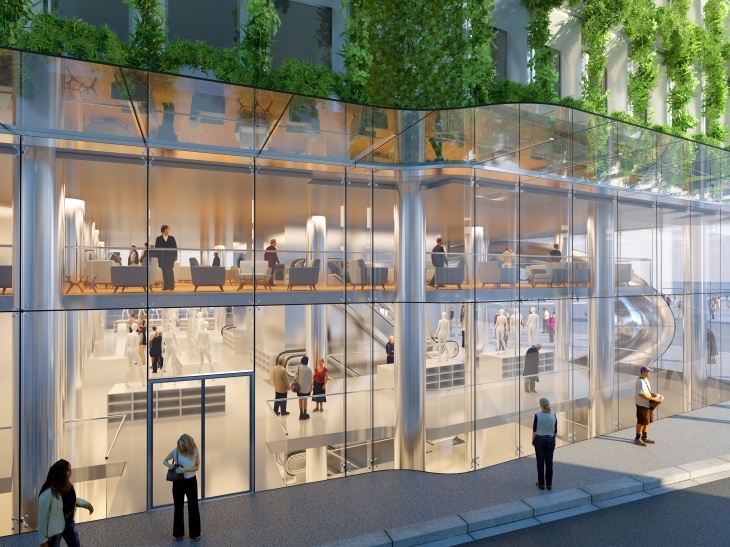 On the ground floor, a contemporary façade and structural glass canopy reinforce the appeal of the public space, by enhancing the indoor-outdoor interaction towards the Place Rogier forming a homogenous, dynamic whole. 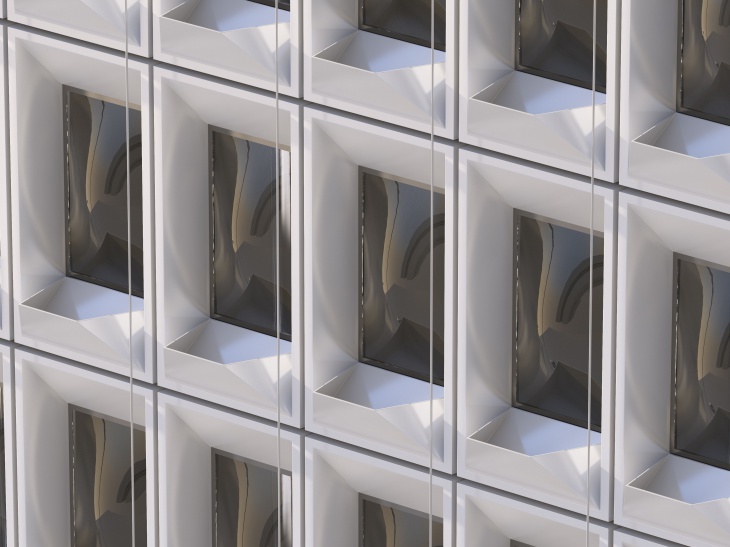 Johnny D: Please explain the design of the carbon-absorbing façades in the project? 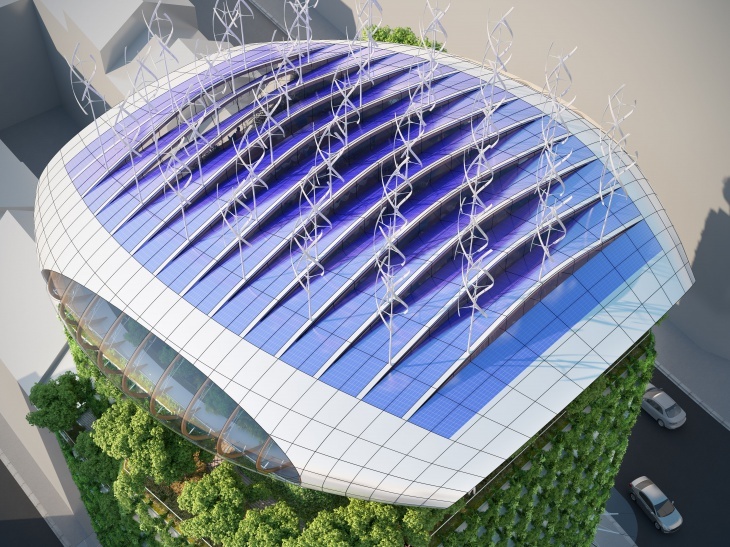 VC: Our ambitions are as follows: to imagine a vegetal envelope on the three façades of the Botanic Center; to bring bio-diversity back into the heart of the City; and with the help of botanists, to select plants that will add colours to the building, according to seasons. The 274 planter beds are directly integrated into the 274 existing modules of the façades. 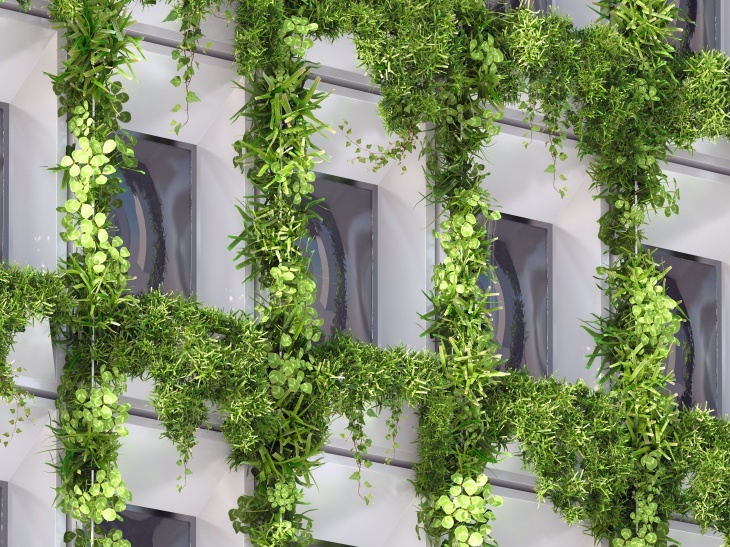 They enable the growth of overhanging and climbing plants, along the web of cables woven into the existing vertical seals of the façades. A drip system irrigates the beds. Maintenance is performed twice a year, at the beginning of spring and the end of autumn. 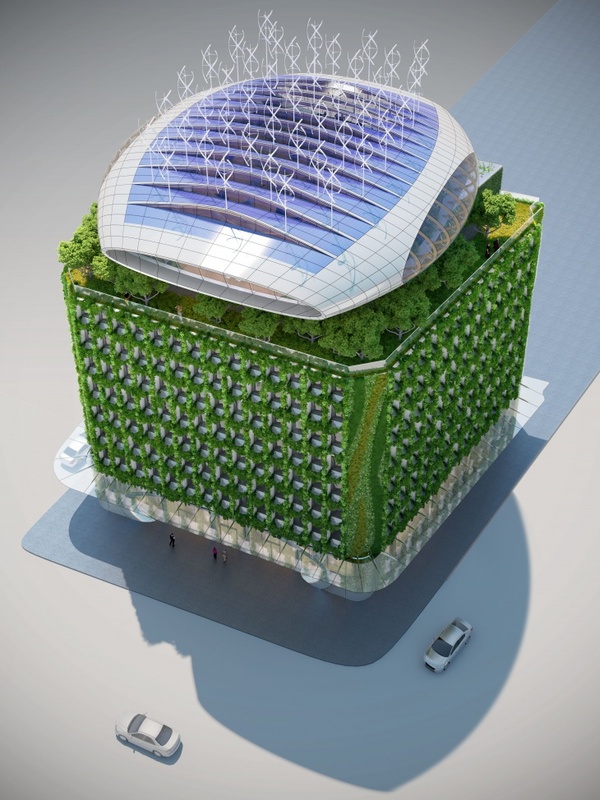 JD: Your innovative design of the photovoltaic roof and solar farm is truly magnifique work of sustainability. Please enlighten our readers with its technicalities. 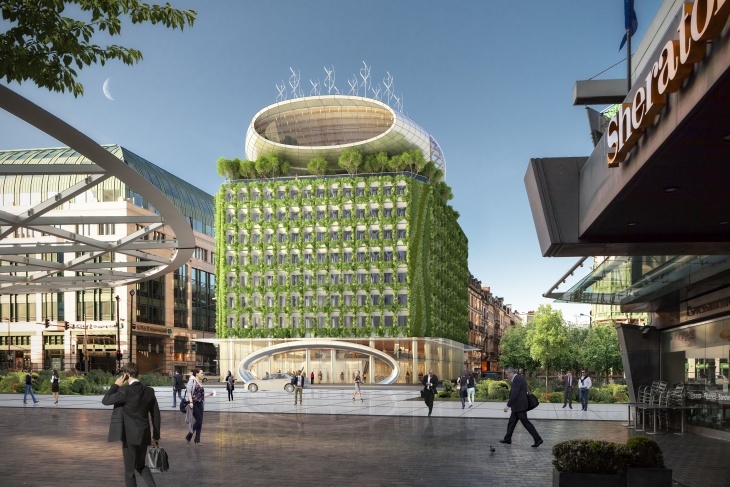 VC: The high thermal energy shell of the titanium covered Chrysalis embraces the curves imposed by the urban setbacks, along the Rue Neuve and Boulevard Adolphe Max. Its underside rests on the existing equipment rooms. 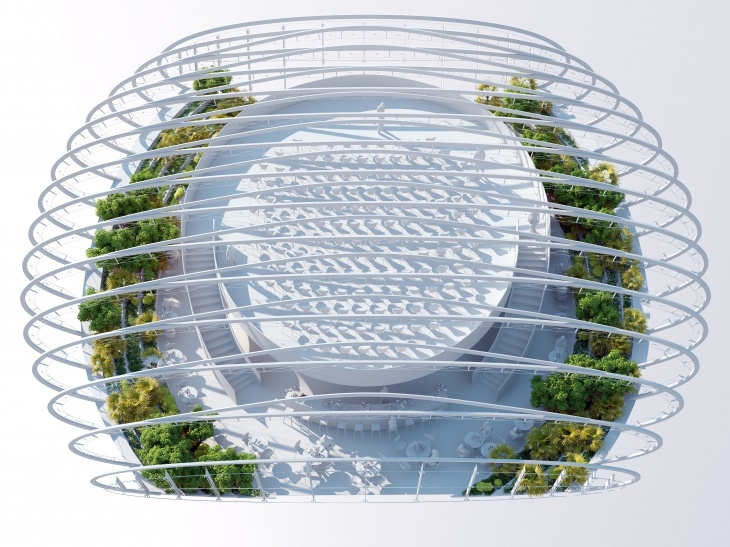 Its top side is made of 12 gills that extend southwards to better capture sunlight, thereby increasing the energy efficiency of the silicon panels covering them. The 600 m² solar shield helps generate more than 96,000 kWh/year (160 kWh/m²/year = c. 15 kWh per square foot per year). 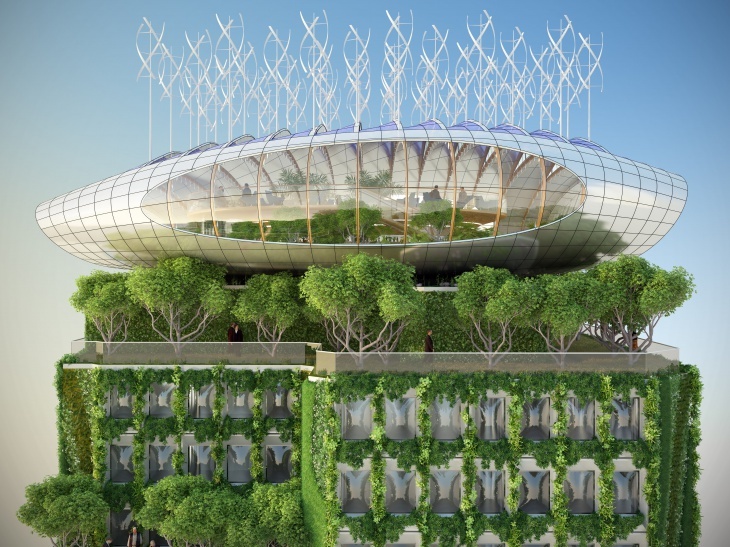 The total annual output of renewable energies (solar and wind) is 128,340 kWh/year, which allows to either cover part of the existing building’s needs, or to ensure the self-sufficiency of the new dedicated spaces inside the Chrysalis. JD: Describe the structural and functional designs of the project. 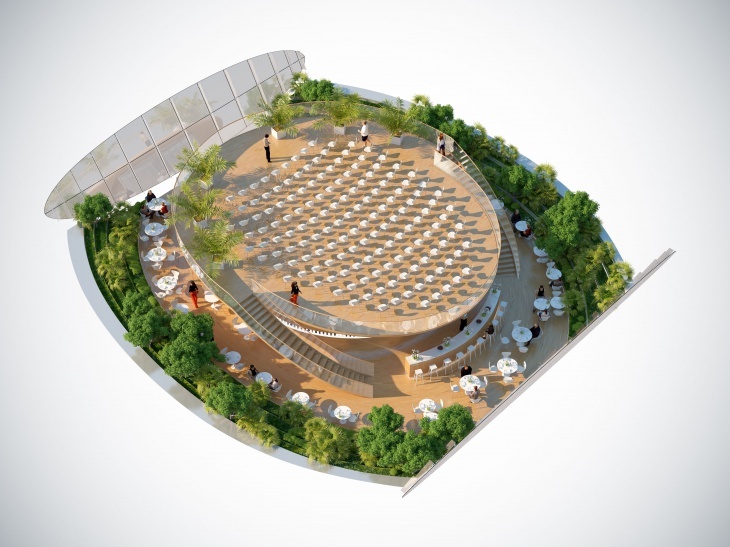 VC: The heightening of the Botanic Center requires a light, floating structure. 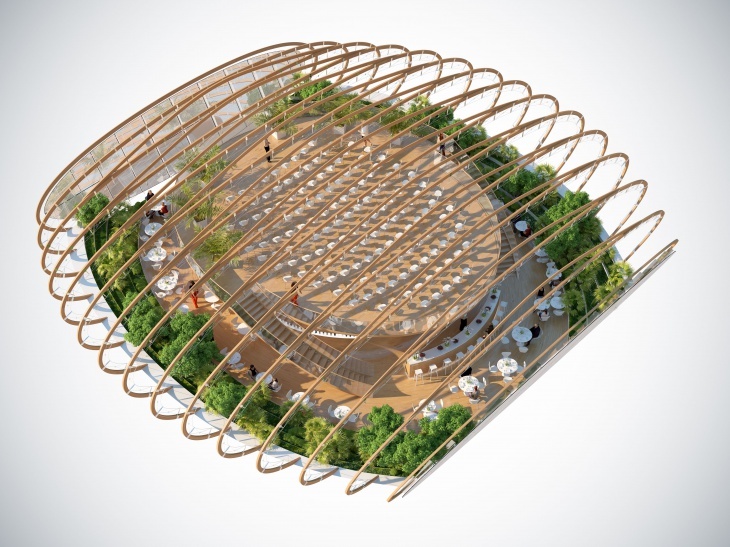 The Chrysalis is sub-divided into 15 arches made of glulam (glued laminated timber), pre-tensioned by a web of steel cables that limit its spatial and visual clutter. These 15 arches rest on a deck (underside of the curve) levitating above the equipment floor. 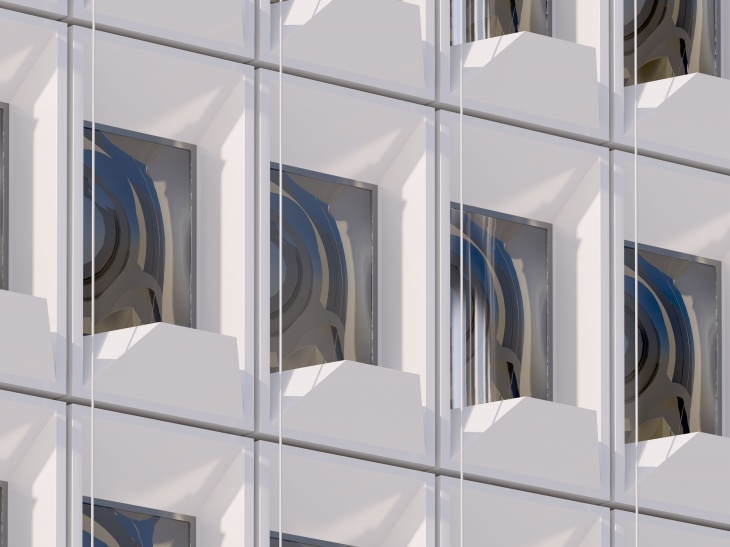 The deck transfers the loads to the building’s carrier cores and existing columns. 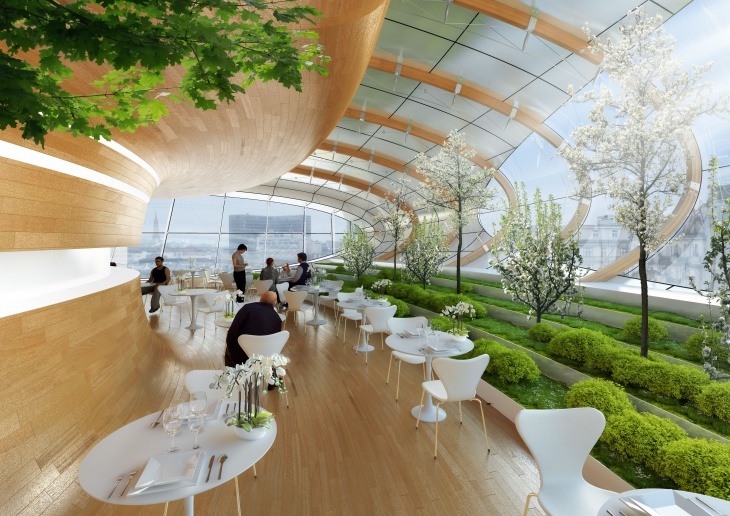 From a functional viewpoint, the Chrysalis is linked to the existing vertical circulations, with dedicated accesses located in the base of the mezzanine. Both the mezzanine and the deck have raised floors, allowing the deployment of equipment, such as plumbing, HVAC and NICT. These raised floors provide a spatial and temporal flexibility in terms of space allocation. 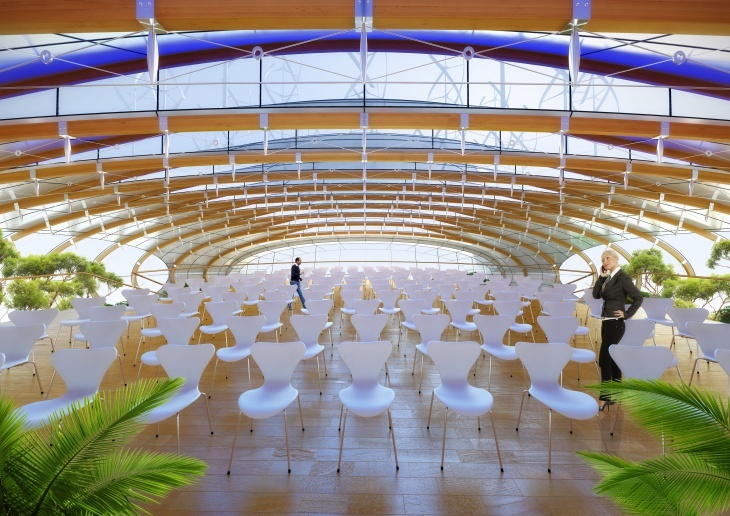 They can be reconfigured endlessly, to accommodate the needs of the future tenants and visitors. JD: Please state the idea behind designing various flexible plan types. 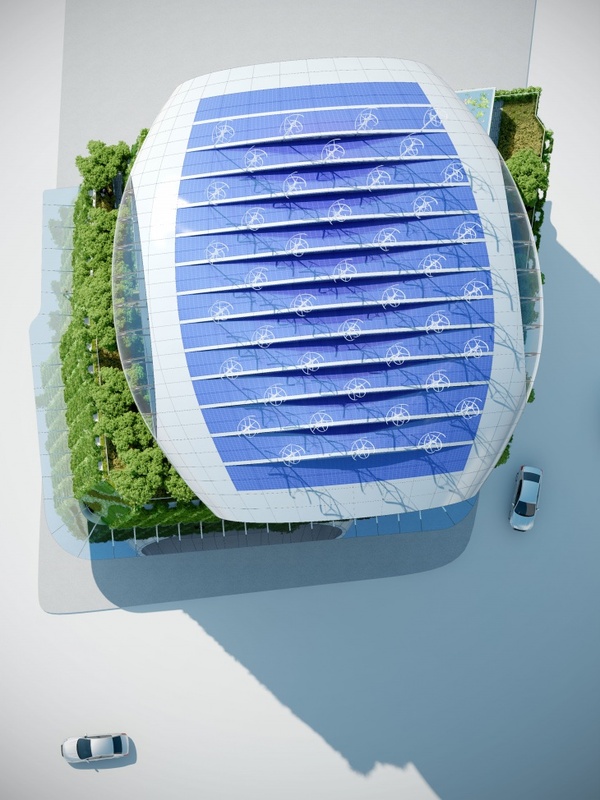 VC: The Chrysalis represents a great real estate opportunity, as it enhances the existing architectural heritage, while bringing in renewable energies. 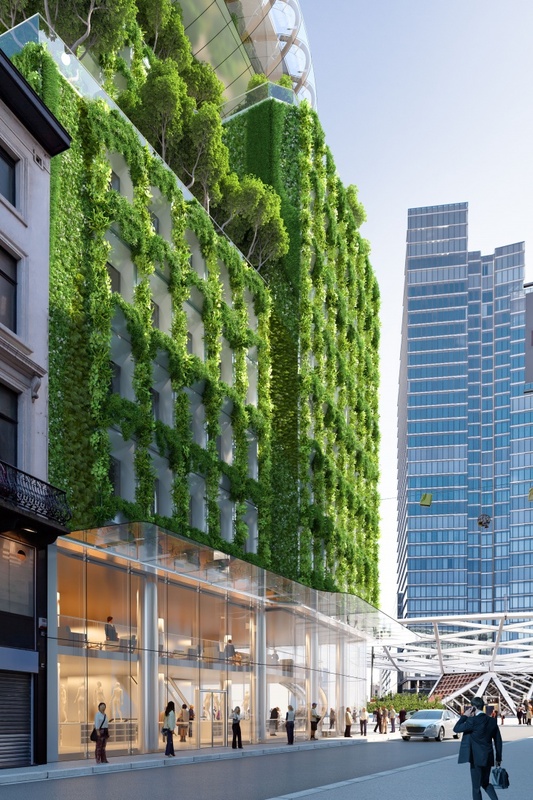 With regard to the programming, it will be up to the contractor to complete the necessary market studies to enhance the value of a property, which will become a new symbol in Belgium’s capital city – that of sustainable and environmentally-responsible construction. 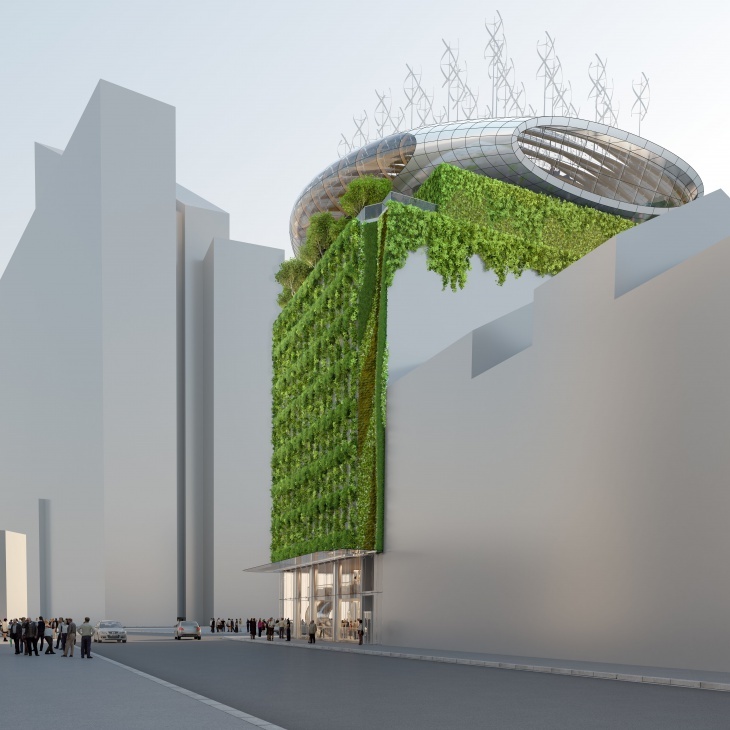 The heightened structure could also become a location, dedicated to events and culture, to training or co-working, or to urban agriculture with Permaculture gardens. 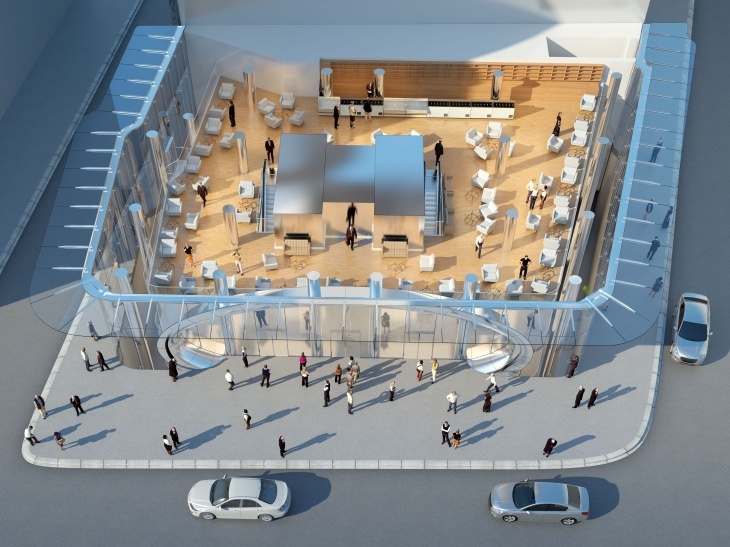 The architecture of the street-facing façades at ground and mezzanine levels is thought to match the architecture of the heightened rooftop level. The challenge is to bring as much natural ventilation and daylight into the basement spaces. 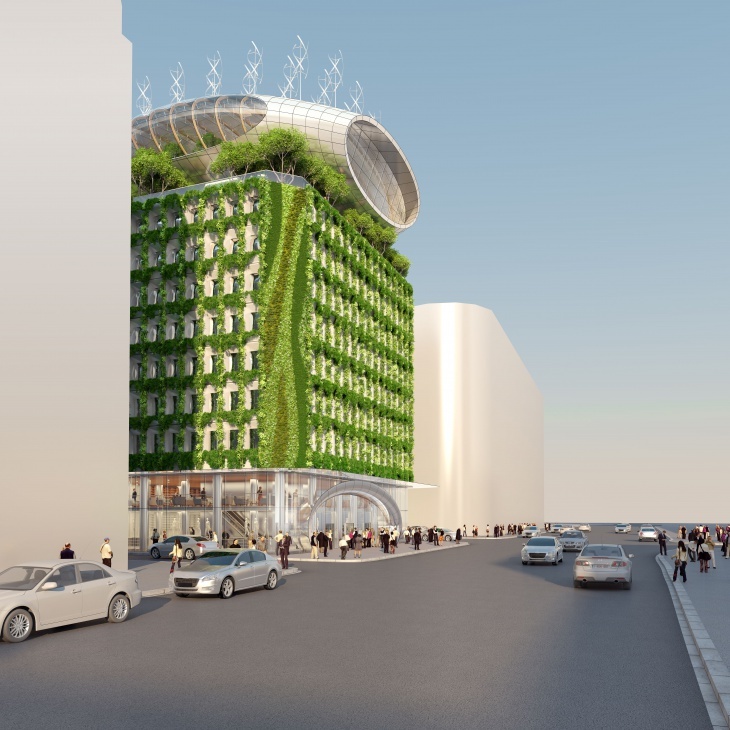 Given the spatial clutter of the vertical circulation cores, the design selected dissociates the slab nosing of the ground and first basement levels from the perimeter of the glass façades, with dry moats that help expand the Retail Store, thus providing new marketable spaces. JD: Tell us more about the interior spaces. 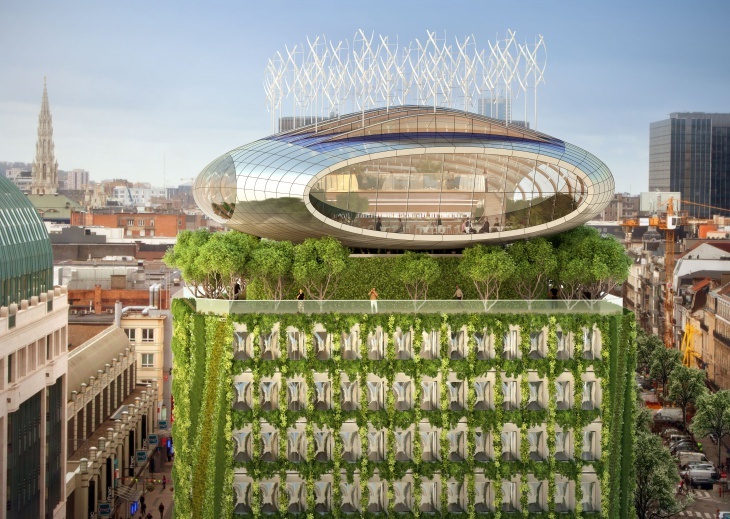 VC: We consider it a duty to design a low carbon impact architecture based on a ‘cradle-to-cradle’ circular economy model, which will take all the inherent carbon emissions into account, while addressing the energy balance of the building’s life, from its delivery to its entire ‘recyclability’. 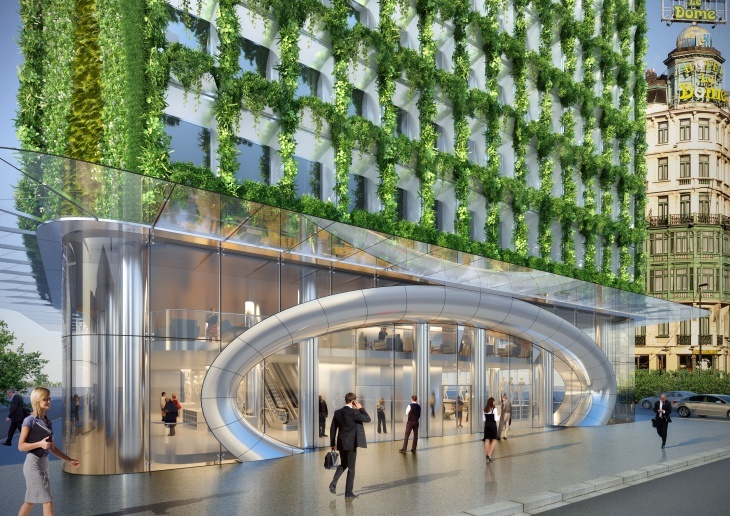 Designing architecture to optimize the quality of life and use is another duty, because the sustainability of a building is not solely energy-based. It is also based on spatial flexibility, on the use of bio-sourced materials that provide both quality and service in terms of comfort, performance and atmosphere, and on the reduction of nuisances and the generation of positive impacts. Such services are provided to all stakeholders (clients or future users), and at all scales (building, square, neighborhood, city, territory). 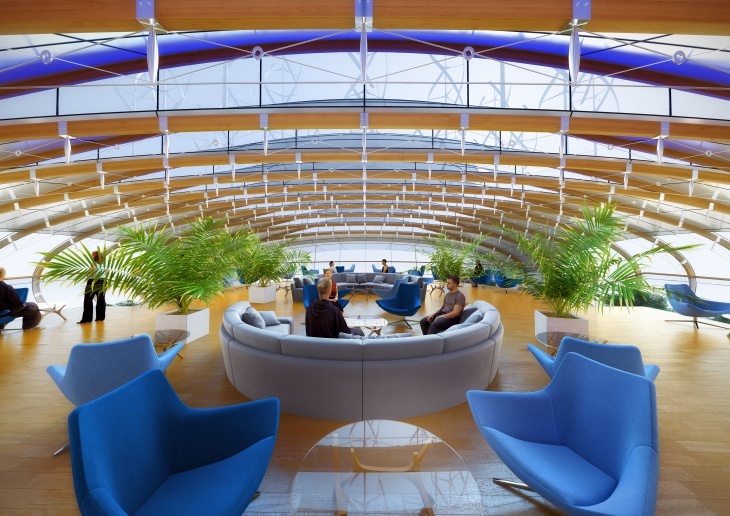 The purpose of the technical, structural and equipment “innervation” is to enable users to endlessly reconfigure their interiors. As discussed, technical components disappear within raised floors and double-partition walls, thus freeing space. With regard to the interior design and furniture layout, we also pay particular attention to the use of natural materials that are recycled and/or recyclable, warm and pleasant. JD: Please mention 5 recent awards won by you.